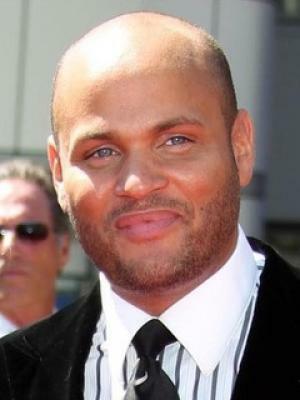 Born on 18 May 1975, Stephen Belafonte is a producer, actor, and director, also known for being married to Melanie Brown – Mel B of The Spice Girls. He faced many hardships in his early years, but overcame them all to reach his dreams of being in Hollywood. Have you ever wondered how rich Stephen Belafonte is, as of late 2016? According to authoritative sources, Belafonte is estimated to be worth over $5 million, earned through his career as a director and producer in Hollywood. Born in Hollywood, California to Thomas Stansbury, he changed his last name to Belafonte at a young age, apparently to promote his chances of having a career in Hollywood, a dream he had all of his life. After he finished school, he went to Loyola Marymount University and graduated in 1997, after which he spent some time going from job to job, all the while dreaming of his future as an icon in Hollywood. He worked minimum wage jobs such as a waiter and dishwasher before he finally caught his break. This happened in 2004, with the release of “Never Die Alone” (2004), on which he served as an associate producer for the film, and after that his career was launched, and his net worth was established. Belafonte went on to serve as associate producer on the film “Thank You for Smoking” (2005), which received considerable critical acclaim as well as being financially successful, and served to heavily bolster Belafonte’s net worth. In that same year, he also co-produced the movie “The Crow: Wicked Prayer” (2005). By 2006, his career in Hollywood was in full swing. The next year, Stephen was the executive producer for the film “Sisters” (2006), as well as producing an episode of the TV series “I Pity the Fool” (2006). The success of these films led to Belafonte serving as producer of the film “Mutant Chronicles” (2008), which although not critically acclaimed, has become somewhat of a favorite among science fiction lovers, and it did fairly well at the box office for an independent film, becoming another movie that heavily contributed to Belafonte’s net worth. Belafonte then returned his attention to TV, and produced an episode of “Singing Office” (2008). The next year he went back to Hollywood and produced the film “Bad Lieutenant: Port of Call New Orleans” (2009), which was Belafonte’s biggest film to that point, and during which he had the chance to brush shoulders with industry icons such as Nicolas Cage, Val Kilmer, and Werner Herzog. It also became the biggest contributor to his wealth. Belafonte has continued to produce films and TV shows; in 2010, he executively produced two episodes of “Mel B: It’s a Scary World” (2010). He has also starred in “Dancing with the Stars” (2011) and “The X Factor” (2011). To this day, he continues to produce various films in Hollywood. In regards to his personal life, Stephen Belafonte has been married to Melanie Brown –- since 2007; they have a daughter together, and two other children – a daughter from his previous marriage to Nancy Carmel(1997-99), and he also had a daughter with Nicole Contreras. 1 Not related to Harry Belafonte. 2 Father, with Melanie Brown, of daughter, born on September 2, 2011 at Los Angeles' Cedars-Sinai Hospital. 3 Has a daughter with ex-girlfriend Nicole Contreras. 4 Brother-in-law of Danielle Brown.